LUCKY ME!!!! 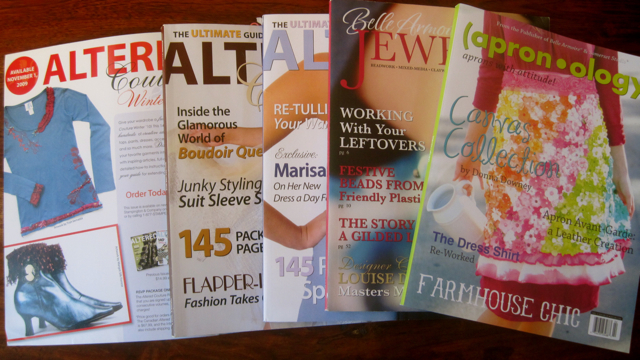 I am currently published in these five magazines which are on your local news stands right now!! I am just so overjoyed. I want to Thank Stampington Press, all the editors, staff and encourage every craftsperson and artist to support these magazines. Go ahead, send in a piece of your own vision…you never know what might happen! 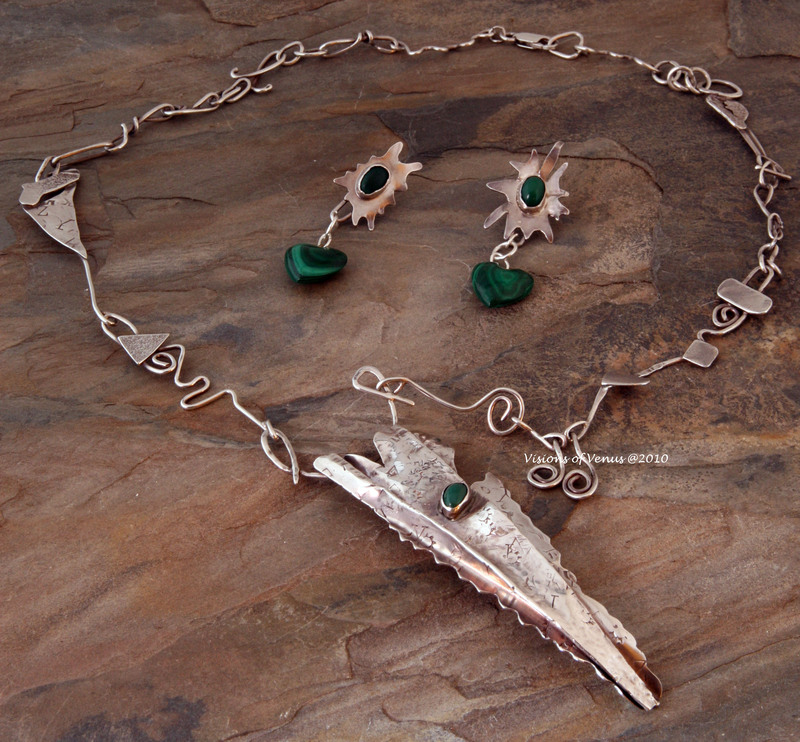 First I got my jewelry in Belle Amoire, Jewelry. 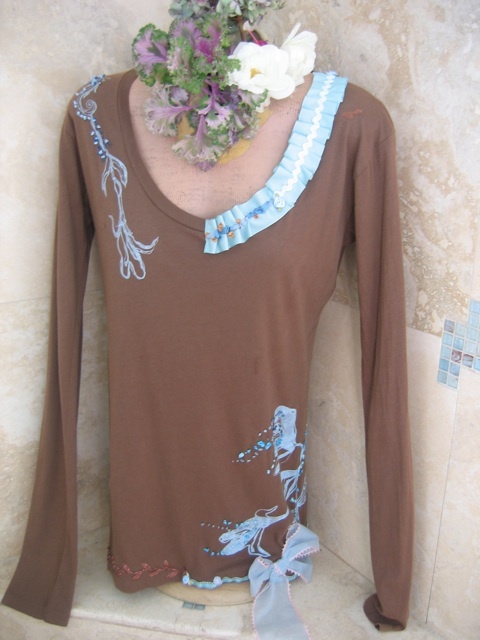 Then I got in Altered Couture with my tshirts , embellishing on my flower design. 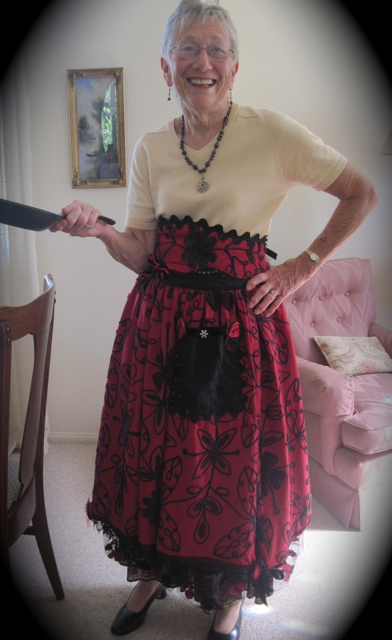 I Was Published in Apron-ology!! I Was Published in Altered Couture!! Another SURPrISE my two aprons, Red Domestic Goddess and Couture, Cocktails and Cookies got in APRON.OLOGY, published by Stampington Press! What a treat!! 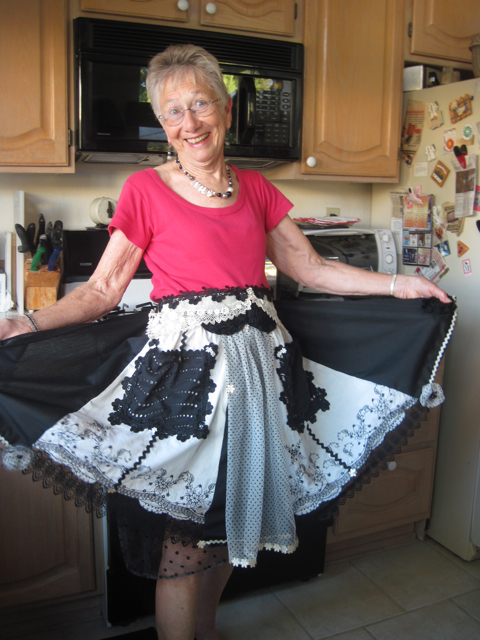 Remember, Doris is my favorite model, who lives next door to me!! Enjoy perusing all the artists in these wonderful magazines!! 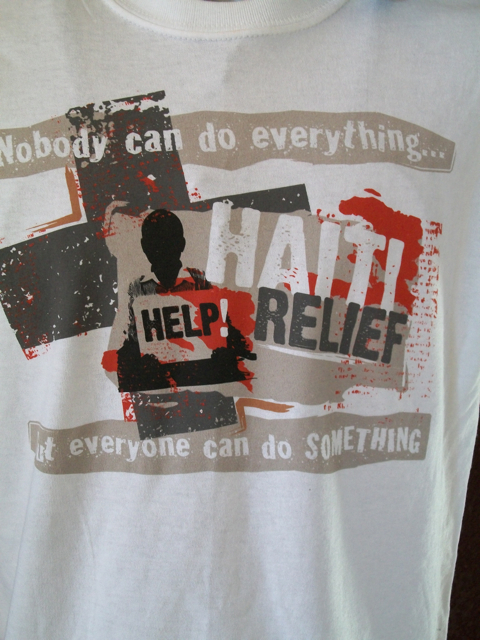 Ed and Chance Grissom, Kiwi Tees, Escondido, http://www.kiwitees.com , designed this tshirt in which all proceeds will be directly donated to Haiti through Samaritan’s Purse. http://www.Samaratianspurse.org. I am honored to be modeling my friends great design!! Go to my Etsy site http://www.Visionsofvenus.etsy.com and purchase. 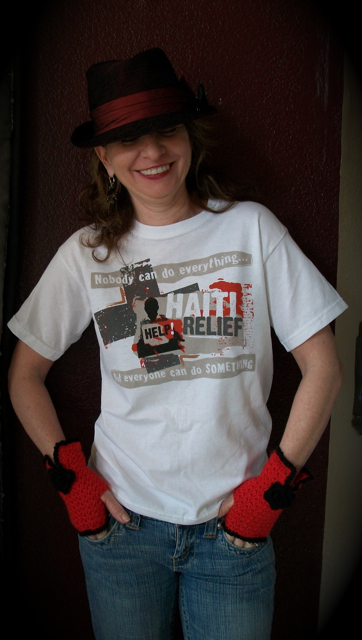 Thank you for helping all the people of Haiti!